HAPPY CANADA DAY to all our Canadian followers and and fellow Canadians out there! We’re 1/4 Canadian here, Marlee is a dual Citizen and Christie just loves maple syrup and beavers. 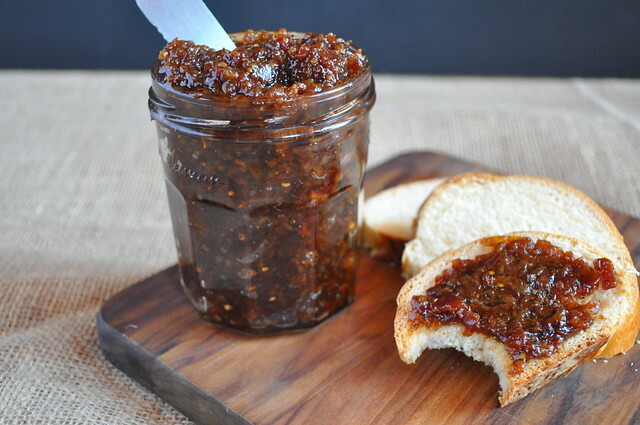 This Bacon jam will totally make your d-eh! 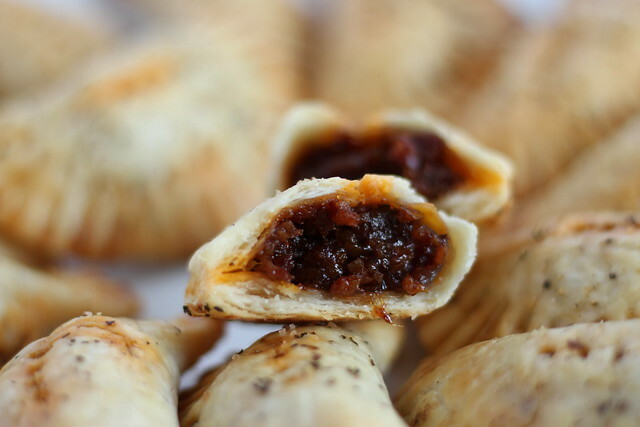 It’s savory, sweet, spicy and has coffee and bourbon. 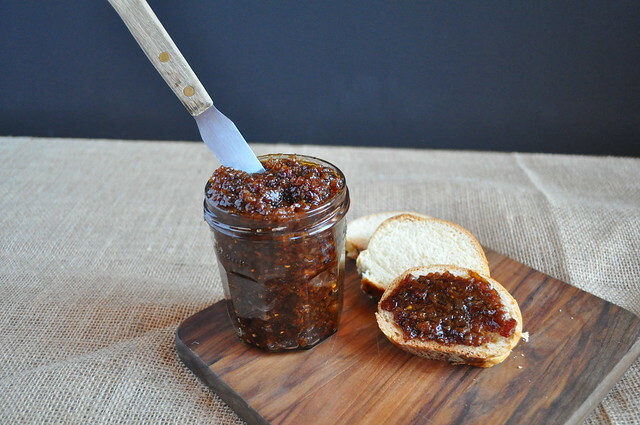 Bacon jam can go on burgers, sandwiches, toasted bread, or just take a spoonful by itself! First thing you want to do is stick your bacon in the freezer for 10 to 15 minutes, this will make it easier to cut! 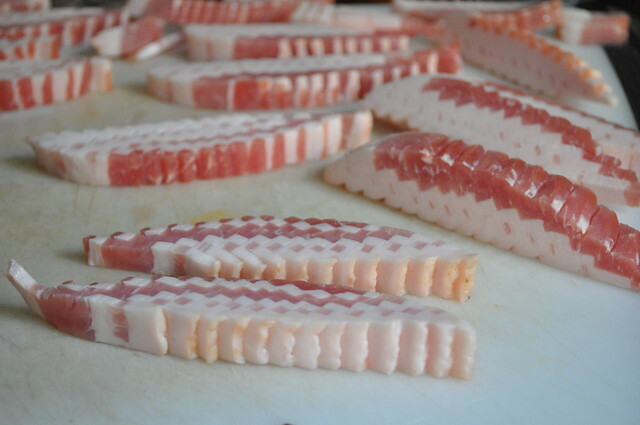 Next, cut your bacon into about 1 inch pieces. In a large skillet, cook the bacon over medium to low heat until the fat rendered and the bacon starts to become crispy. When the bacon become crispy, remove from the heat, and drain the fat. Using 1 tablespoon of the reserved bacon fat, heat and sauté the red onions until tender, about 5 to 7 minutes over medium heat. Next, add the chopped garlic and sauté until fragrant. No more than a minute. Deglaze the pan with cider vinegar. Add the coffee, brown sugar, syrup, bourbon, bacon pieces, chipotles, cumin, and pepper. Stir until combined, reduce the the heat to low and simmer for 1 to 2 hours. The jam will have a syrupy consistency, towards the end of the cooking time, you can defat the jam. In a mini food processor, pulse the jam three to four times to smooth out the jam. Store in the fridge for up to 4 weeks. We also feel, it’s best served warm, so microwave for about 20 to 30 seconds before serving.